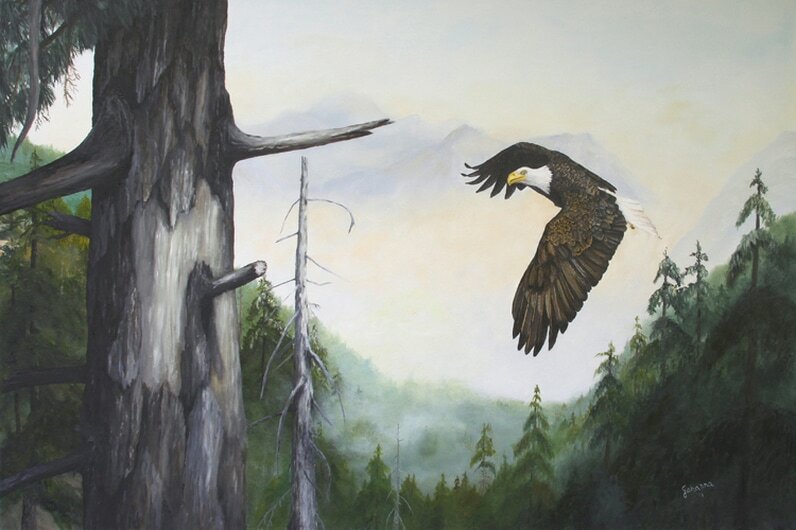 ​This painting of a Bald Eagle depicts the times I spent in Colorado while watching them soar through the trees with the majestic mountains as a backdrop. Now it is a joy to see Bald Eagles in my surroundings in Upstate New York. Since the year 2000 the Bald Eagle population has more than tripled through out New York State. Through this painting, I hope to spread awareness of how important it is to protect Bald Eagles and their nesting areas.